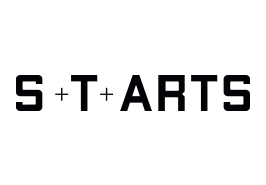 S+T+ARTS=STARTS – Innovation at the Nexus of Science, Technology, and the ARTS: STARTS is an initiative of the European Commission to foster alliances of technology and artistic practice that effectively implement European policymaking to nurture innovation and that benefit the art world as well. The focus is on people and projects that contribute to mastering the social, ecological and economic challenges this continent faces. One element of this STARTS Initiative is a prestigious award generously endowed with €40,000 in prize money. A yearly competition is held to single out for recognition innovative projects at the nexus of science, technology and the arts that have what it takes to make a significant impact on economic and social innovation. 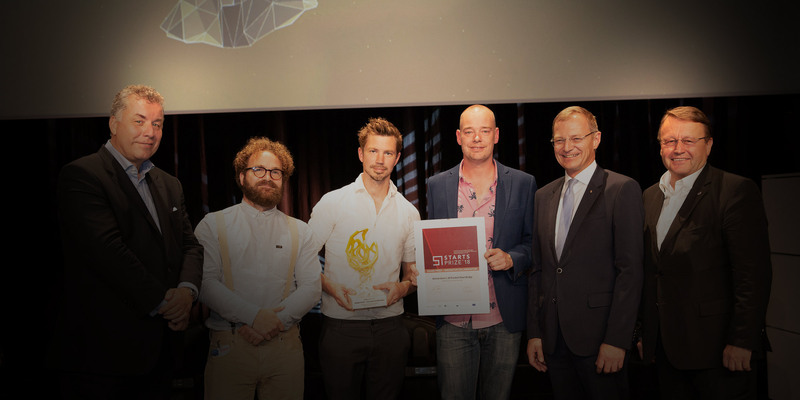 The two STARTS prizewinners each receive €20,000 and are prominently featured at Ars Electronica, BOZAR and Waag. 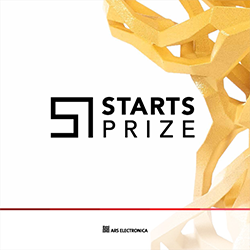 Please note: The submission phase for the STARTS Prize 2019 has ended. The winners will be announced in May 2019. Projects can be submitted from January 2020. Science, Technology and arts (STARTS for short) limn a nexus at which insightful observers have identified extraordinarily high potential for innovation. And innovation is precisely what’s called for if we’re to master the social, ecological and economic challenges that Europe will be facing in the near future. In this STARTS Prize initiative, the European Commission’s focus is on projects and people that can make meaningful contributions to this effort. Here, art is assigned the role of catalyst that propagates scientific and technological knowledge and skills among the general public and triggers innovative processes. Accordingly, STARTS is emphasizing, on one hand, artistic works that influence or change the way we look at technology, and, on the other hand, very promising forms of collaboration between the private sector and the world of art and culture. A prizewinning project will be singled out for recognition in both categories and each will be supported with €20,000 prize money. The decision is made! Winners and Honorary Mentions for the STARTS Prize of the European Commission have been determined. The international jury for this fourth consecutive award spent days discussing, observing, paring down entries and discussing again so the prize could be granted to very special projects in two categories: “Artistic Exploration” honors works where art has great potential to influence and change technology. “Innovative Collaboration” recognizes cooperative relationships between industry/technology and the arts. The submission deadline of the European Commission's STARTS Prize 2019 is March 11! Nadav Hochman, co-founder of the Tech + Arts Initiative at the Tech Museum of Innovation in Silicon Valley, is one of the jurors of this competition and talks in an interview about the connections between science, technology and art. Submissions for the European Commission's STARTS Prize will be accepted until March 11th, 2019. The artist Şerife Wong, one of this year's jurors, talks about where she sees similarities between science, technology and the arts and explains to us – in her role as an ethics consultant – how we can deal with artificial intelligence in our society. After his visit to the Ars Electronica Festival, Roberto Viola, Director General of DG CONNECT (Directorate General of Communication, Networks, Content and Technology) at the European Commission, talks in this guest article about how important it is to involve art in the further development of AI technology. 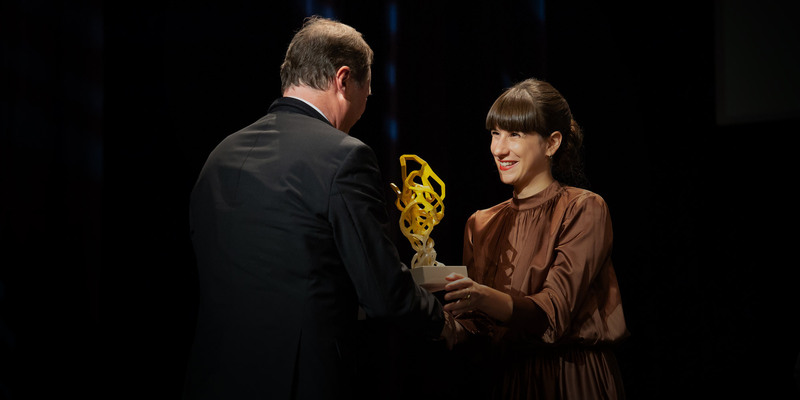 This year, designer and biohacker Giulia Tomasello won the STARTS Prize in the category "Artistic Exploration" for her Do-It-Yourself harvesting set for bacteria at home, "Future Flora". Before the artist comes to the Ars Electronica Festival (September 6 – 10, 2018) to present her work, she has already told us more about it in this interview. By building the world’s first 3-D printed metal bridge, MX3D and the Joris Laarman Lab have provided proof that the MX3D process they have jointly developed makes it possible to create metal objects and structures of any size that are aesthetically pleasing as well as intelligent. They were awarded the STARTS Prize of the European Commission. Gijs van der Velden explains in an interview how this was achieved.